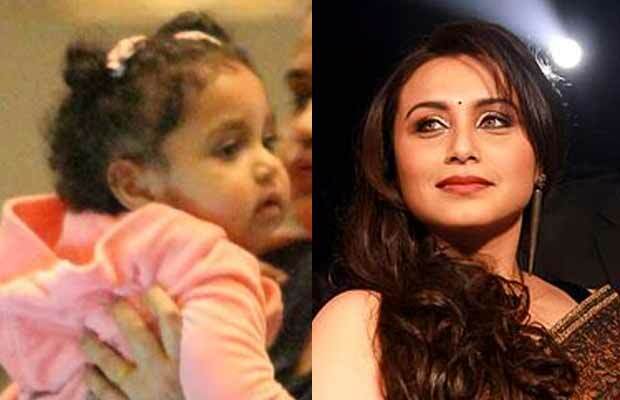 Home BOLLYWOOD Here’s Why Rani Mukerji’s Daughter Adira Is Always Kept Away From Paparazzi! Here’s Why Rani Mukerji’s Daughter Adira Is Always Kept Away From Paparazzi! Unlike most of the star kids, the actress Rani Mukerji’s daughter Adira has been rarely snapped by paparazzi! Whenever we say star kids, some of the names which come first to our mind are Taimur Ali Khan, Misha Kapoor, Aaradhya Bachchan and a few others. But we would hardly think of the actress Rani Mukerji‘s daughter, Adira. And it is mainly because we have not got to see much of the little girl. The Chopra family has always kept Adira away from the media glare. And now we know why! Adira’s first pictures were clicked with her dad Aditya only. ”It is very hard not to get her photograph. But Adi’s reputation is so spoiled that everyone fears taking a picture with her because he blatantly says no. Everyone was pretty scared in a way to take her picture because they knew it wasn’t allowed, or it wasn’t right,” said Rani. Rani Mukerji was last seen in the film Mardaani, which was highly appreciated by everyone. After taking a 2 years long break, the actress is all set to again appear on the big screen. She is a part of the film, whose trailer was released today. Previous articleHichki Trailer OUT: Rani Mukerji’s Intriguing And Brilliant Act Will Leave You Amazed!